I love Pierre Paulin's designs. 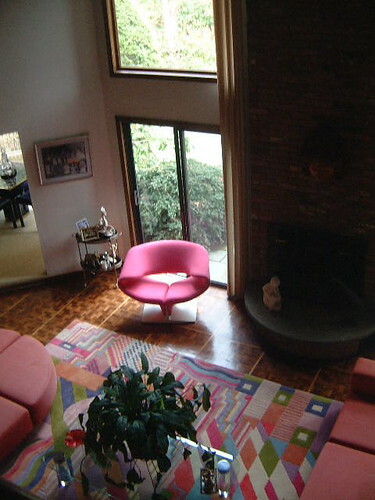 There was a pink Pierre Paulin Ribbon chair in the great room when we viewed this house and I fell in love. Even though they cost over $5000 and the pink color is no longer available I lusted after that chair. I still hope one day when we are rich I'll be able to own one, maybe in a cranberry colour. Yesterday I found this chair and ottoman on the live auction part of eBay. It's an Orange Slice chair by Paulin and I am lusting so badly after it. 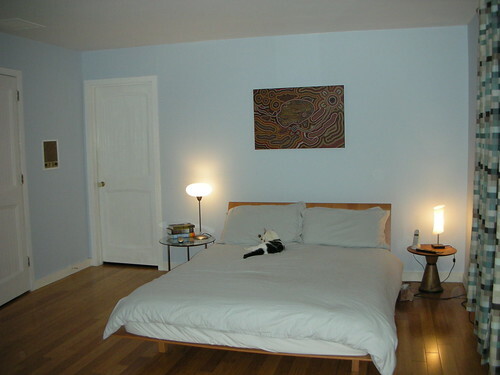 Wouldn't it go beautifully in the master bedroom? It's starting at $1000, cheaper than the $5000 for the Ribbon chair but still way out of my prce range. Unless someone wants to bid on it for me (don't forget the 22.5% buyer's premium and shipping charges if you do) it's destined to go to another admirer. 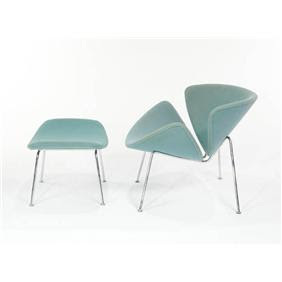 If you are into mid-century chairs LA Modern Auctions has another 140 beautiful original designs for sale. They're all in the $500-$3000 starting price range. But hey, looking is free!